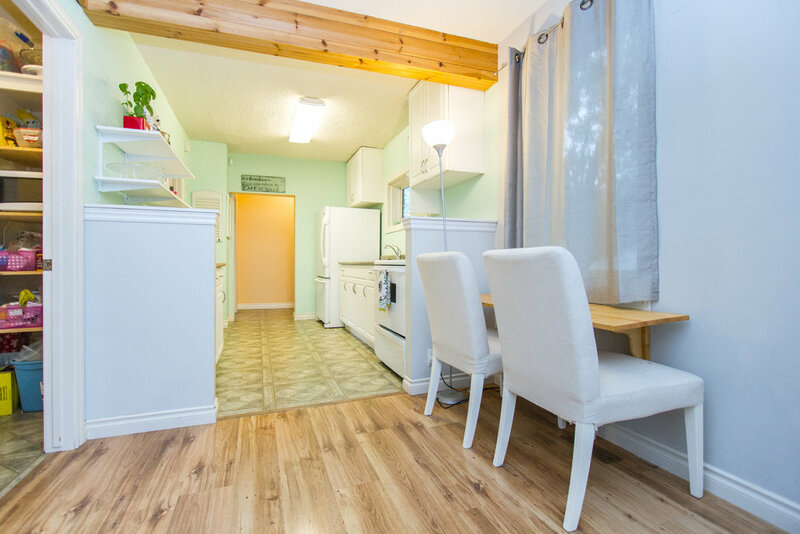 This adorable home situated in the heart of Old St. Vital will make home ownership a reality versus renting! Whether you’re looking for a great starter home or an investment opportunity - this is one you don’t want to pass by! 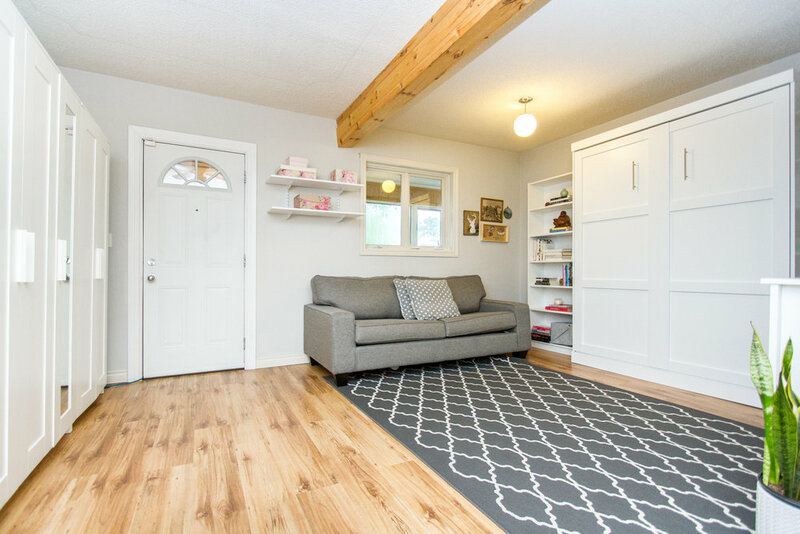 The enclosed front porch is an inviting welcome into the modern open concept layout. 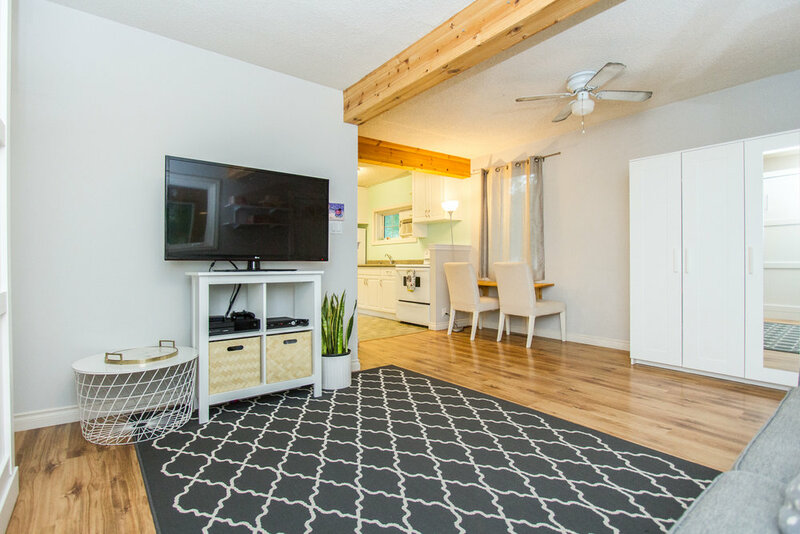 The spacious living room is loaded with fresh design details like gorgeous blonde flooring and exposed beams, plus a hidden queen sized murphy-bed with white built-ins--perfect for guests and great for storage. The classic galley-style kitchen offers modern white cabinetry with large walk-in pantry and modern finishes throughout. The good sized master bedroom is large with huge bright window and fresh wallpapered feature wall, with additional space for a walk-in closet, vanity area or small office. The four-piece bathroom is large for ultimate comfort with modern finishes, and the basement offers lots of additional space for high and dry storage. With all this, plus a new fence (2017), newer windows, tasteful decor throughout and central air conditioning, this is a lovely spot to call your own.